LUCIA(2013) KANNADA MOVIE WATCH ONLINE LUCIA(2013) KANNADA MOVIE WATCH ONLINE: Why Lucia? Directed by the most brilliant director of sandalwood, Pawan Kumar. 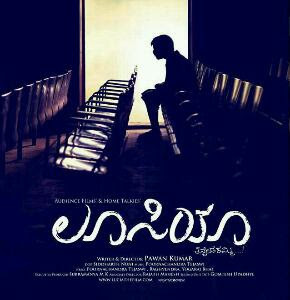 Lucia is the 1st crowd-funded kannada movie. Yes, Audience themselves are Its Producers. World Premiere at London Indain Film Festival 13, where it won audience covoted best film award. Lucia's cast n crew entirely consists of new talents who are chosen like pearls. Lucia's music by new talent Poornachandra Tejaswi won every kannadiga's heart. Lucia is available to view online in HD Quality. Lucia's plot is a psycho thriller, which keeps you stick to your couch. The first thing the critics praise about Lucia is Its Camera work, credits to Siddartha Nuni, who have also worked for Life Of PI. Many bollywood icons like Irfan Khan, Anuragh Kashyap praised about Lucia.